From 1 June 2018, Svensk Filmindustri Kino AS changed its name to ODEON Kino AS. 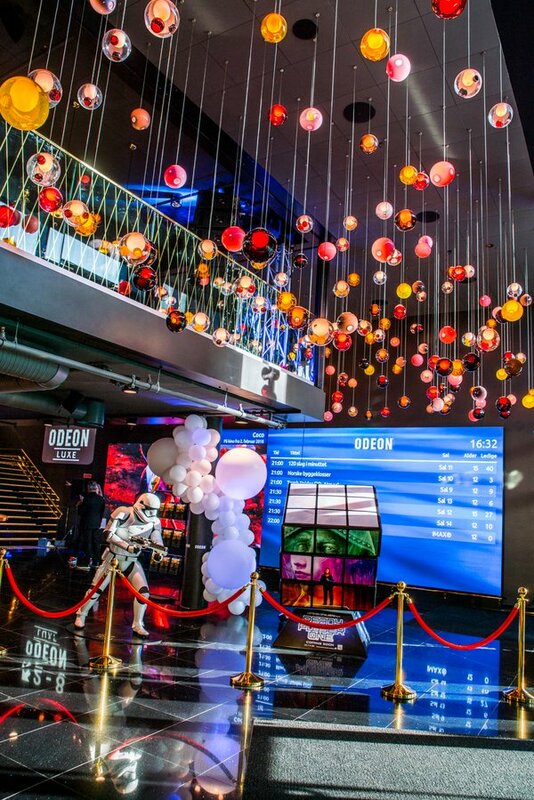 The Norwegian chain of Europe's largest cinema group started using the new name from 22 March this year, when ODEON Oslo opened with 14 screens and the country's only IMAX at Storo in Oslo. The 11 remaining cinemas in Norway will be rebranded to ODEON with the rebrand expected to be complete by September 2018. ODEON was established in the UK in 1930 and has become one of the most well known brands in the cinema industry. In March 2017, SF Kino AS was acquired by ODEON Cinemas Group, part of the American cinema chain AMC Theaters. "We are proud of our history as SF Kino, but now we enter a new era," says Ivar Halstvedt, CEO of ODEON Kino AS. "When opening our state-of-the-art, modern cinema at Storo in Oslo, it was a great choice to begin using our parent company's popular and well known trademark, ODEON. We wanted a brand identity that is unique in Norway and has a strong cinema heritage. Already our guests love it in Storo, and we're looking forward to introducing it across Norway!"